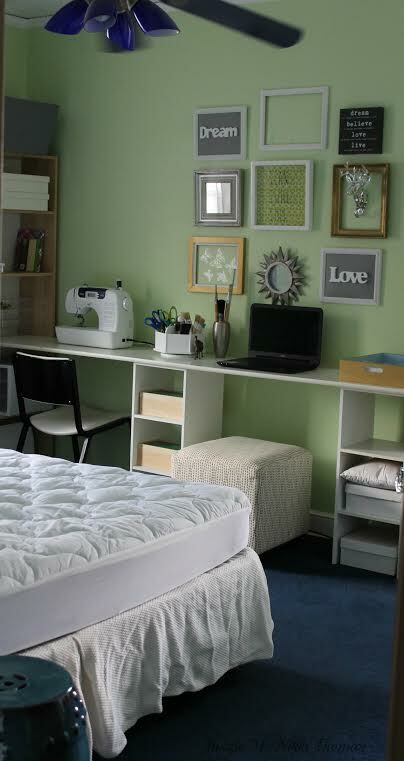 You are here: Home / Room Makeovers / Bedrooms / BEFORE & AFTER: Nikki’s Pretty Crafting Guest Bedroom! 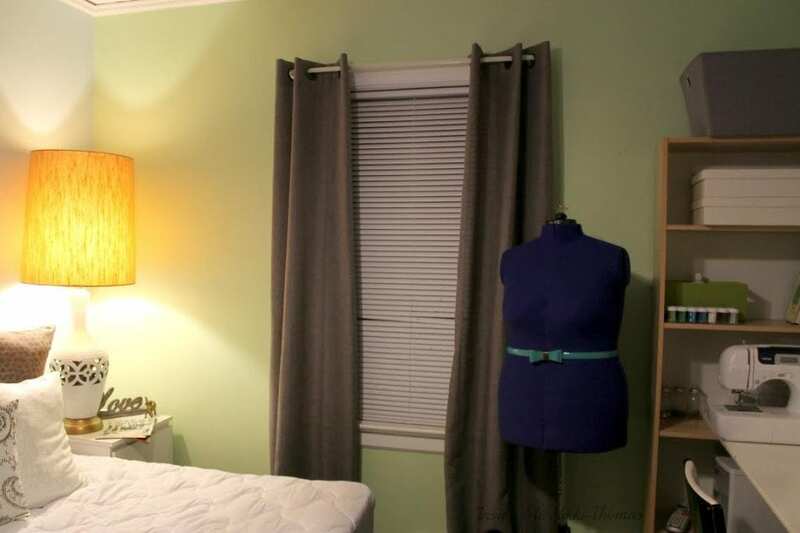 BEFORE & AFTER: Nikki’s Pretty Crafting Guest Bedroom! 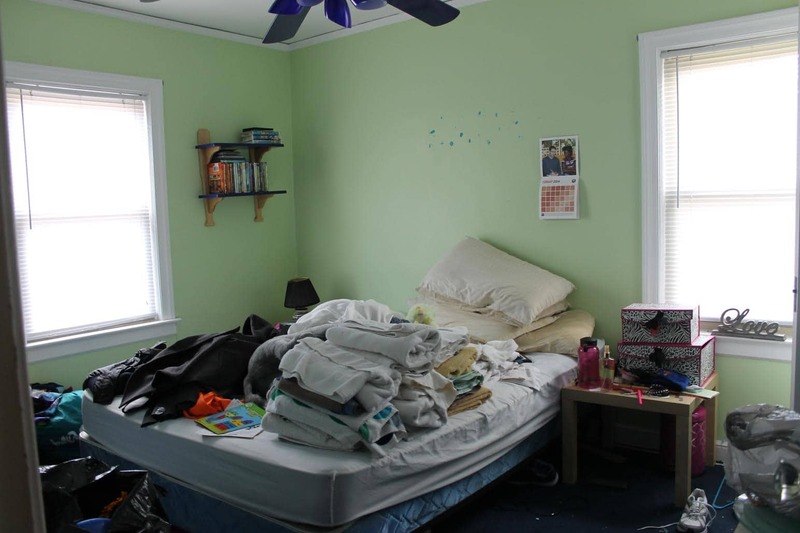 Nikki’s guest bedroom was actually her daughter’s old room. 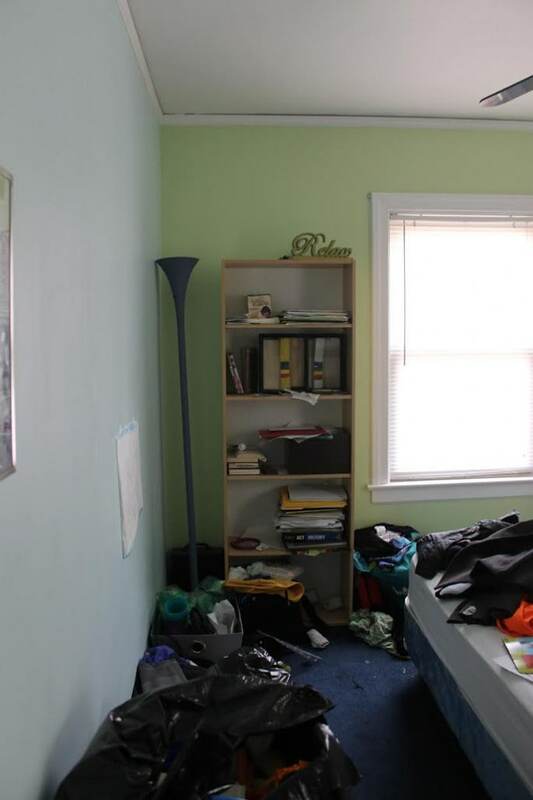 She chose this room because her daughter moved away and her “junkie room” gave her anxiety. She was in desperate need of a peaceful space to create. “The biggest challenge for me was time. As a busy working wife and mother, I had to figure out the best way to manage my time at home. I spent many lunch breaks planning, shopping and finding inspiration online. What stumped me was figuring out the layout. My problem was having this queen size bed in the room. Our family lives in other states and this room has to also serve as a guest room. I wanted a daybed, but that only allows for one person to sleep comfortable, so I had to keep the queen bed and work around it. WHAT???!!!! I thought she bought this desk! She didn’t! 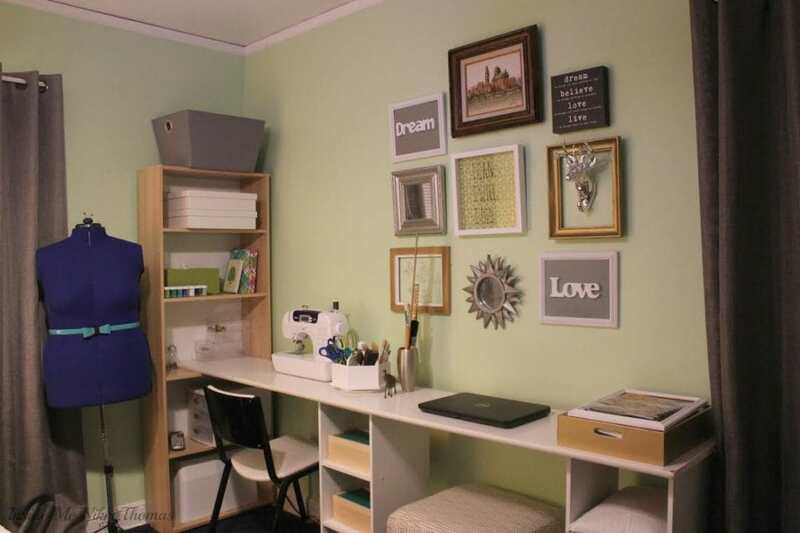 She DIY’ed it! Amazing, Nikki!!! This is a job well-done!!! And to think she created it with just stuff she already had in her garage and recycled closet parts. WHOA! « BEFORE & AFTER: Turn an Old Cable Reel Into a DIY Desk! 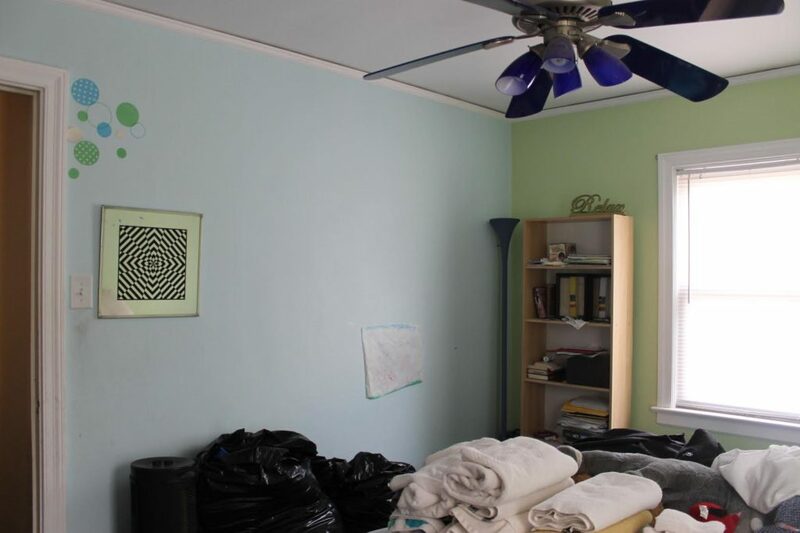 Wow, it does look like such a different room. The colors she chooses are much more calming and nice. 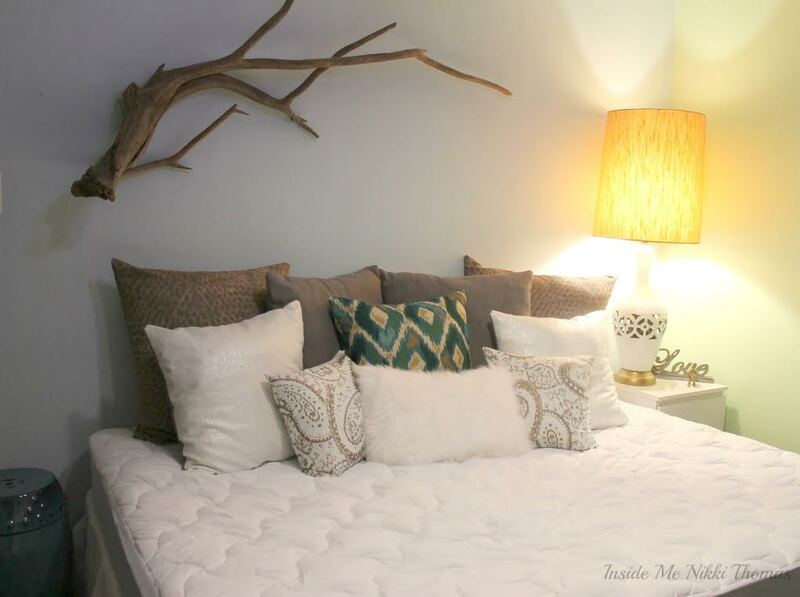 I love what she did with this room… And even better that she was able to re purpose so much! Great before n after! What a great space! It gives me hope!